When Rasil died of the Nipah Virus on May 31, there was no one to perform his last rites and cremate his body. The 25-year-old’s father had left the hospital in mental agony after hearing of Rasil’s death and his mother had been kept under observation for suspected symptoms of the virus. That was when Dr RS Gopakumar stepped in. Dr Gopakumar, a member of the task force constituted on May 20 by the Kozhikode District Collector UV Jose and Directorate of Health Services to tackle the Nipah Virus, has performed the last rites of several Nipah patients. It all started on May 21 when the Kozhikode Mayor, Thottathil Raveendran, called him up and asked him to resolve an issue in a nearby crematorium. When he reached the crematorium on Mavoor Road, he quickly realised that the workers were refusing to cremate the bodies of Rajan and Asokan, two Nipah victims, for fear of being infected themselves. At first, he tried explaining that the disease couldn’t spread this way, and that the workers could handle the corpse if necessary precautions were taken. But no one wanted to come forward. He finally took the help of the Ivor Madom crematorium based in Thrissur, and supervised the cremation. “It was very sad to see that nobody was willing to do the rituals. Everybody was scared,” says Gopakumar. 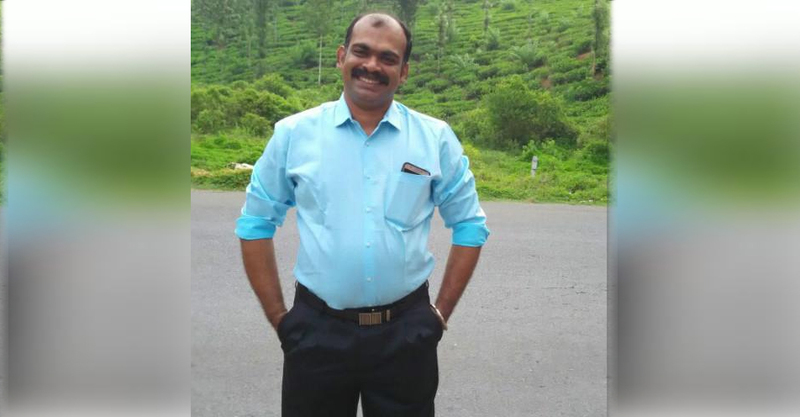 Dr Gopakumar has handled the last rites of 12 victims – for 9 victims, he supervised the funeral rites, but for three others, he performed it himself. Dr Gopakumar performed the last rites for 19-year-old Sabeerath too. Then, it was suspected she was a victim of the virus, as the test results hadn’t come. With her husband’s permission, Dr Gopakumar carried her coffin to her grave. When 53 year-old-Raghu succumbed to suspected Nipah infection, his family had none to perform the last rites according to the Hindu traditions. Raghu was survived by his mother and a sister. Dr Gopakumar stepped up and conducted the last rites. Th test results of Sabeerath and Raghu later confirmed that they did not have Nipah Virus infection. Mohammad Sadik, considered to be the first victim of the virus, lost four members of his family to the infection, including his father, Moosa. And Dr Gopakumar was one of the people who supervised Moosa’s burial. According to the reports, the NCDC has established a strict protocol when dealing with Nipah-affected bodies. “As part of the standard procedure, the bodies should not be sprayed, washed or embalmed and personnel handling the remains have to wear protective equipment like gloves, gowns, N95 masks, eye protection shield and shoe covers,” reports PTI. It was important to follow the protocols as any exposure to the virus can pose a risk of personnel contracting the disease. The Nipah outbreak in Kozhikode has been contained, with no new cases reported, the State Health Department said.